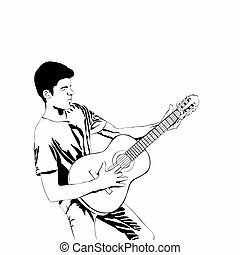 A Young Man Playing The Guitar. 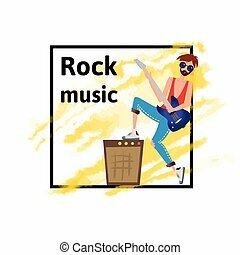 Rock Musician. 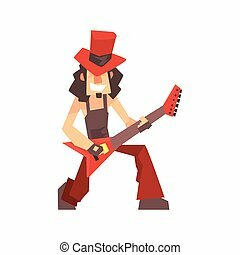 Vector Illustration, Isolated On White Background. 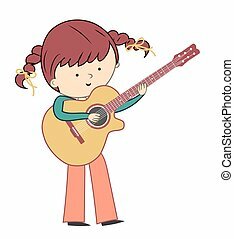 A young caucasian man playing the guitar. 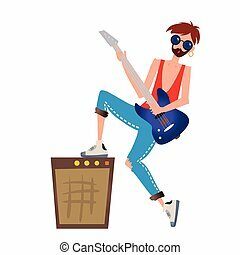 Rock musician. Vector illustration, isolated on white background. 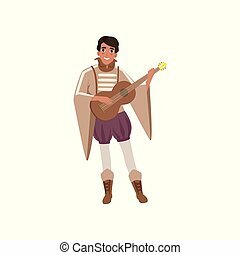 Medieval musician character playing guitar vector Illustration isolated on a white background. 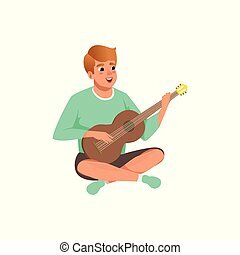 Man sitting with crossed legs playing the acoustic guitar vector Illustration isolated on a white background. 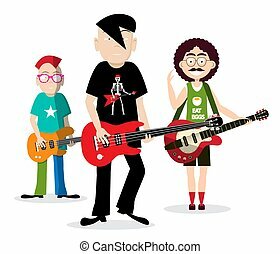 Rock People Playing Guitar. 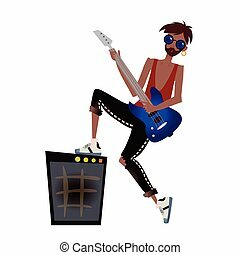 Funky Band Vector Illustration Isolated on White Background. 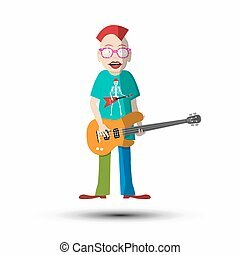 Funky Guitar Player. 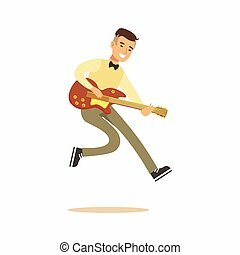 Vector Musician Man Isolated on White Background. 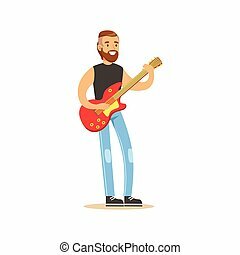 A caucasian young hipster man with the beard vector flat design illustration isolated on white background. Vertical layout. 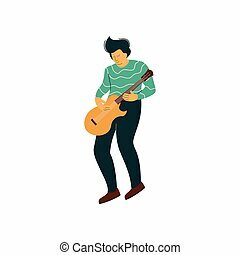 Young Man Playing Acoustic Guitar Vector Illustration on White Background. 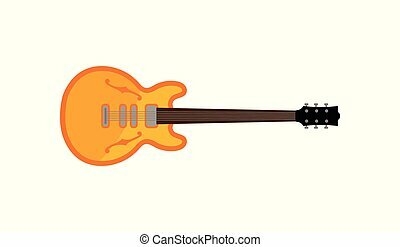 Electric guitar, rock music instrument vector Illustration isolated on a white background. 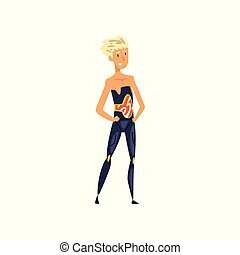 Young man from the future in futuristic clothing vector Illustration isolated on a white background. 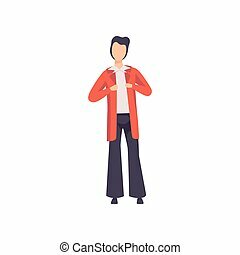 Young man in fashionable clothes from the 70s vector Illustration isolated on a white background. 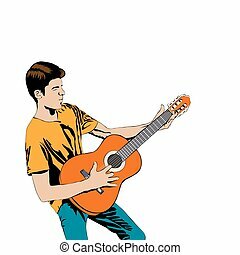 A young caucasian man playing the guitar. 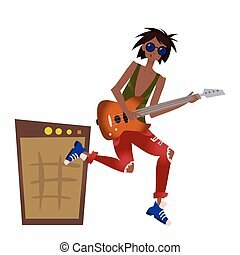 Rock musician. 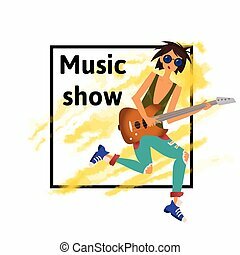 Vector illustration, music poster template, isolated on white background. A young black man playing the guitar. 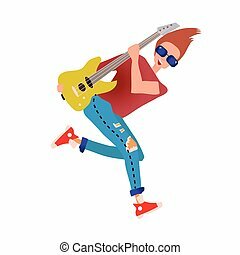 Rock musician. Vector illustration, isolated on white background. 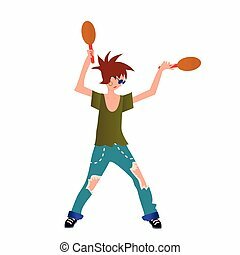 Young man playing the maracas. Vector Illustration, isolated on white background. 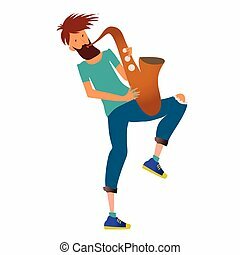 Young man playing the saxophone. Jazzman, musician. Vector Illustration, isolated on white background. Young man playing drum set. 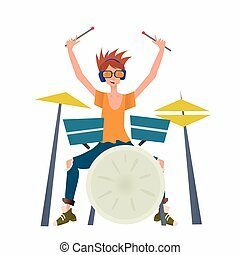 Drummer, percussion musician. 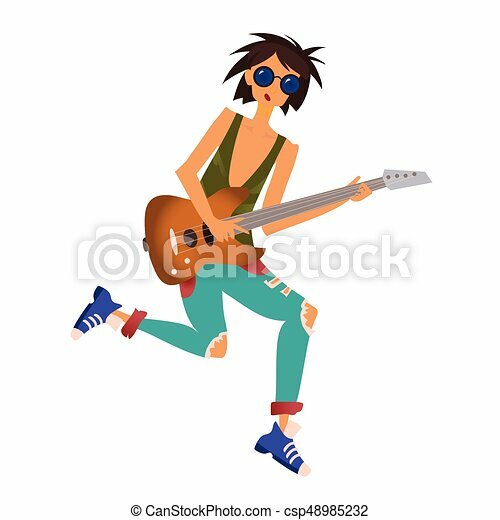 Vector illustration, isolated on white background. Young black man playing drum set. 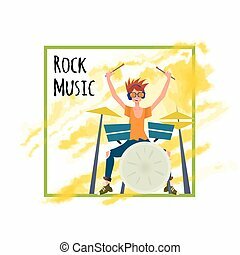 Drummer, percussion musician. Vector illustration, isolated on white background. 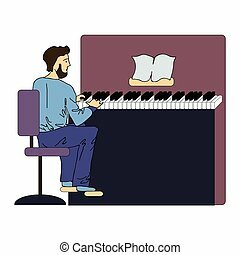 A man plays the piano. Vector illustration, isolated on white background. Young man playing drum set. 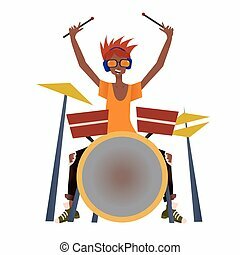 Drummer, percussion musician. Vector illustration, poster template, isolated on white background. 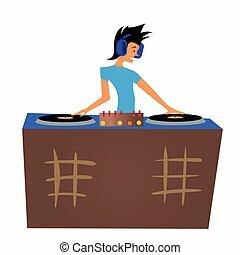 Young Man DJ Playing Music Behind the Decks. Vector Illustration, Isolated on White Background. Fear of heights. 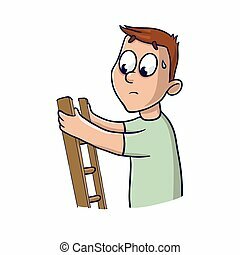 A frightened young man up the stairs. Vector Illustration, isolated on white background. 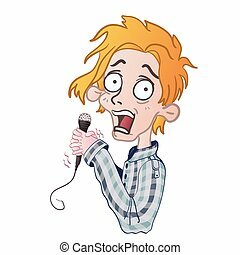 Young man with frightened eyes sings or shouts into the microphone. Vector illustration, isolated on white background.